Pearl Percussion is proud to introduce a new accessory to its line of cajon percussion. The new Jingle Cup is an attachable set of cajon jingles, transforming any cajon into a jingle cajon. A 2” diameter suction cup holds the set of platinellas onto any cajon’s striking face, sympathetically sounding when the cajon is played. Available in brass or steel platinellas, the Jingle Cups are easily applied or removed using the plastic tab on the suction cup for quick timbre changes. A threaded screw through the Jingles allows you to easily loosen or tighten the jingles to control their volume. The versatile Jingle Cups can also be attached to the body of an acoustic guitar, a drum, or any instrument you strike, adding rhythm and flair to your music. The cups come paired in sets of two in a handy mesh carrying pouch. 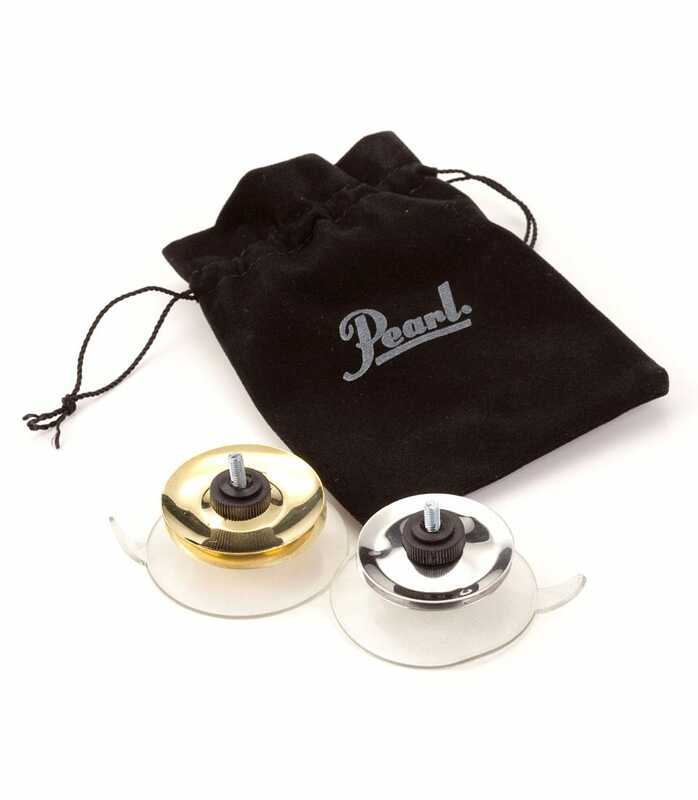 Add more spice to your playing with the new Pearl Percussion Jingle Cups. Pjcp 1 Jingle Cup from Pearl is 100% original and brand new. We, at Melody House take pride in our after sales service and support. For further details on the pjcp 1 jingle cup, Pearl, simply write to us to consult an expert or order online and we will take care of the rest. Happy Shopping!